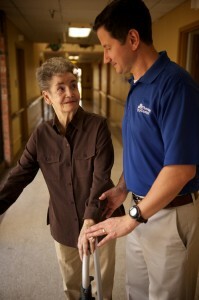 The Therapy Center | Is your current therapy provider prepared for 2012 PPS changes? Is your current therapy provider prepared for 2012 PPS changes? The new calculation system on group therapy requires that, regardless of group size, the minutes provided to a group of 2-4 patients be divided by 4, making group therapy an inefficient way to deliver treatment unless absolutely necessitated by the patient’s condition. In addition, the new rule calls for increased documentation requirements requiring therapists to justify the use of group as opposed to individual treatment. This regulation could result in the need for increased staff to provide the same level of care. New 2012 PPS rules now consider all SNF providers to be 7 day per week facilities, meaning if therapy is missed on a Monday or Friday without any therapy over the weekend, the SNF is required to perform an EOT OMRA resulting in the patient’s RUG level to fall into a Nursing PPS RUG. If therapy is not resumed within 5 consecutive days, therapy must discharge their patient and a SOT OMRA will be required to continue the patient under Part A therapy. Planning patient care and appointment tracking are critical to ensure avoidance of EOT OMRA situations. Weekend, holiday, or evening coverage may be required to avoid these default situations. The Change of Therapy (COT) OMRA forces the monitoring of delivered days and minutes every 7 days beginning the day after the last scheduled or unscheduled PPS assessment. Under this new regulation, patients are essentially in perpetual assessment and if a patient falls into a lower or higher RUG category in each 7 day look-back, and additional assessment will be required. Payment will be impacted for the previous 7 days and potentially into the future. Increased flexibility and availability of full-time therapists is a MUST! Has your current therapy provider discussed their pans for coverage at your facility to ensure that you will be minimally impacted by these changes? Therapy Center has remained proactive in preparation of the changes and has provided on-going training to our partner facilities and team members. Call us to find out how we can help your facility.